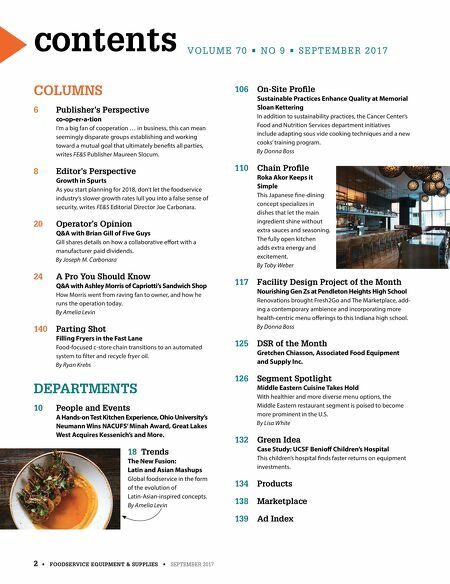 You can't charge premium prices if you don't serve a premium product – consistently. Your customers have different needs, and we help satisfy them all. The JoeTap ® revolutionary technology infuses instantly without any volume limitations. Pour as many servings as you like, as fast as you possibly can, with no deviation in quality. A portfolio of equipment solutions to fit every customer's needs! NITRO COLD BREW COFFEE THE FULL EQUIPMENT LINEUP FROM JOETAP ® & MICRO MATIC! NOT YOUR AVERAGE CUP OF JOE LEARN MORE! JoeTap.com / micromatic.com/joetap info@JoeTap.com / nationalaccounts@micro-matic.com 855-4JoeTap (855-456-3827) / (866-327-4159) Listed by Edison Testing Laboratories. Conforms to UL & NSF Standards. 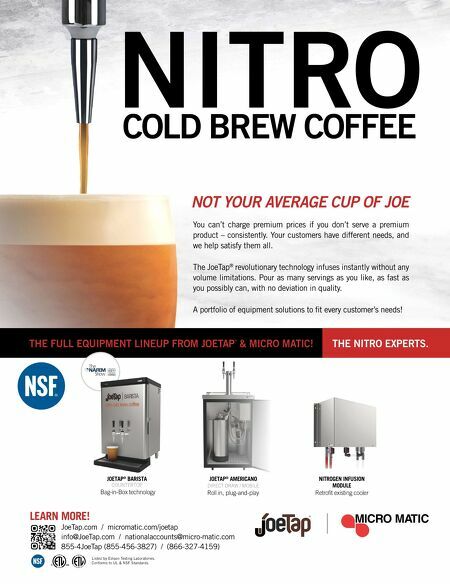 JOETAP ® BARISTA COUNTERTOP JOETAP ® AMERICANO DIRECT DRAW / MOBILE NITROGEN INFUSION MODULE Retrofit existing cooler Roll in, plug-and-play Bag-in-Box technology THE NITRO EXPERTS.